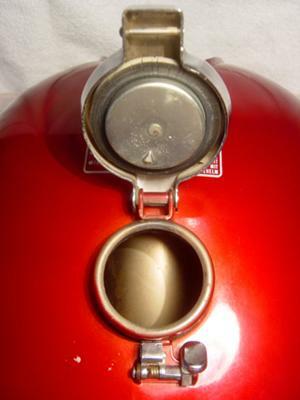 I have this 1976 HONDA CB750 GAS TANK for Sale PLUS lots of other parts for your Honda CB including front and rear fenders, handlebars, scrambler bars, seats, seat pans and original covers, luggage racks, grips, exhaust pipes, mufflers, grab bars with turn signals, for CB 4's and CB twins AND fuel tanks and CB750 KO sand cast and die cast parts. 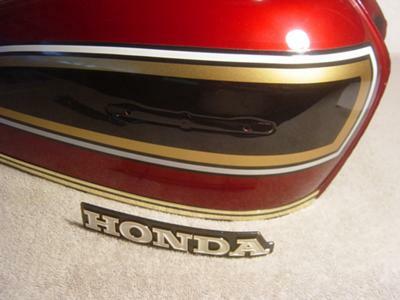 Most of the used Honda motorcycles parts that I have in my inventory are for 1961-1976 Honda motorcycles. leather jackets in Size Large. Please contact me with your "wish list" and I will check to see if I have what you want to buy for your Honda CBR for sale. I'm located in Venice California CA near the beach. 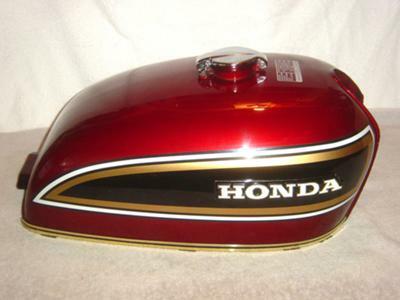 The 1976 HONDA CB750 GAS TANK for Sale and other parts are located in Venice, CA California and interested parties are welcome to call me to request additional pictures or with any questions (no e-mail) don't forget to mention that you found my ad on GoGoCycles Used Motorcycle Parts. Please call your used motorcycle parts "wish list" and I will look to see if I have what you need. My number is 310-606-0fourthree4 and don't forget to mention that you found my ad on GoGoCycle's Used Motorcycles and Parts for Sale www.gogocycles.com when you call. Call the number in the classified ad for the price for the tank and other parts.